The Playgoer: All About the Limestone? 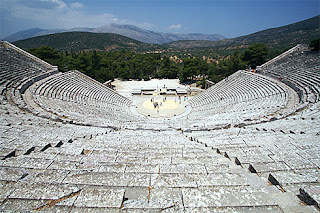 Adding to the wonders of how the Greeks did it... Could the acoustics of the huge outdoor theatres been helped by the limestone built into the seats? So say "scientists." And here's an audio-tech blogger's take, too.